Now that we have done some very simple configuration changes in PWA and the Project Sites and then populated some example test data in the PWA instance we can look at example reports. 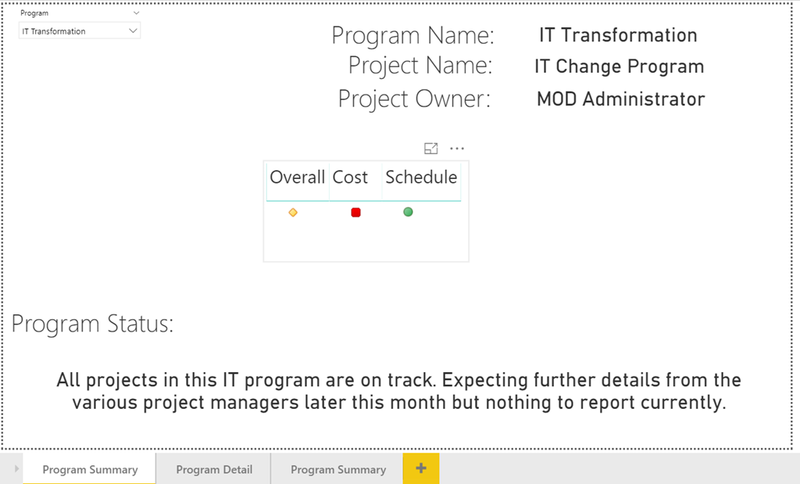 We won’t cover creating these reports from start to end as this isn’t the purpose of the post, it is purely to highlight how to make use of the configuration changes to give to the program level reporting. 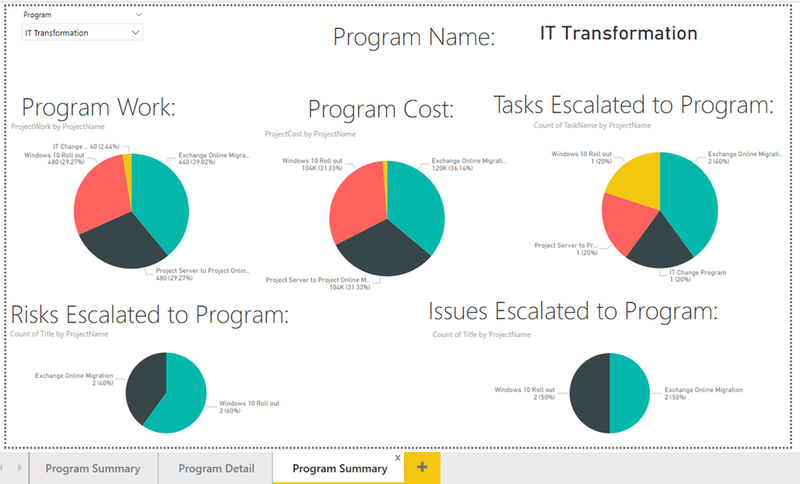 These reports are also not engaging or showing casing Power BI, so you will want to create much better looking reports as these are just used to show examples of the data! 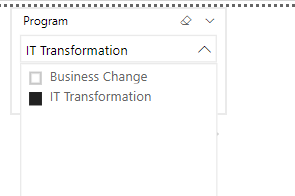 So this page shows data for the project tagged with “1_Program” in the Project Plan Type field and in this case, the project tagged with “IT Transformation” which in my data set is the “IT Change Program” project. 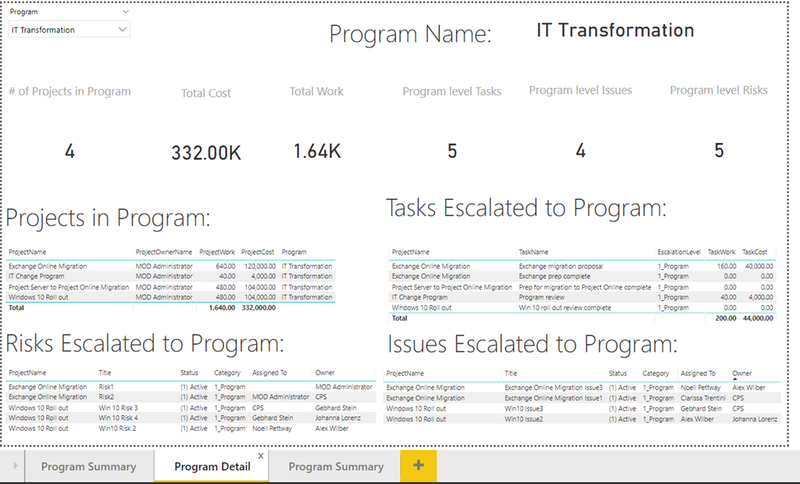 I don’t have much data on this page but this is just to show the data is for the program level project. This provides quick access to data relevant to the program. 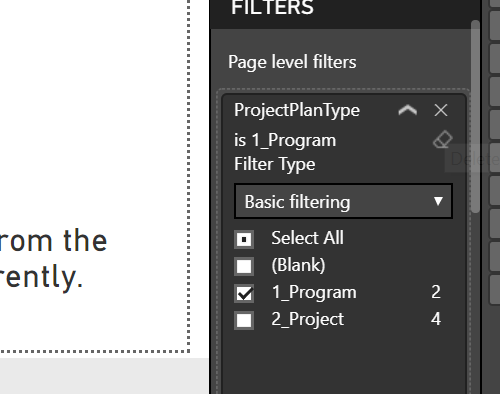 As we can see, these are very simple examples but the concept can be applied to larger datasets with more fields and data but the first page / report example will only work providing you one have 1 project plan per “program” value tagged with “1_Program” in the “Project Plan Type” Project level field. That’s it for this short series – I hope that you found it useful!